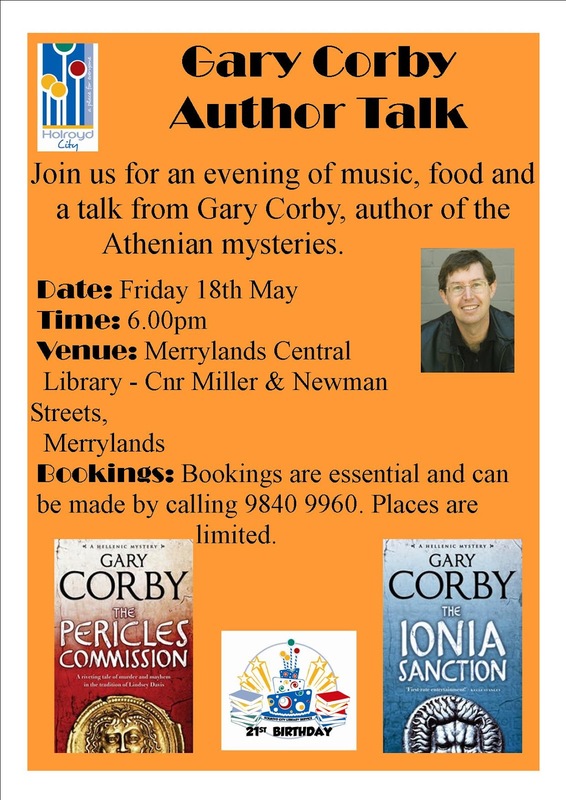 Yours truly will be giving a talk at Merrylands Library, in Sydney, on Friday evening next week. It's the library's 21st birthday! I have far too many things I'd like to talk about, so I'd like to ask your opinion. Out of all the stuff you've seen on this blog, what do you think might make the most interesting talk for a library audience? Keep in mind that some of the audience, but not all, will be mystery fans. Some, but not all, will be historical fans, and of course everyone is a reader. What do you think for a subject? If you happen to be within reach of Merrylands, I'd love to see you there. Hmmm... I think my favorite posts of yours have been the ones about strange history--ones like the Greek coffee cup and the hot air balloon duel. 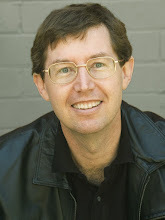 I'm still hoping to hear you break down the process of writing a mystery one day. There's a mystery twist in one of my books and it about broke my brain trying to keep it all straight. I don't know how you do it! Stephanie's right. Tell the funny/crazy stories, and don't forget to tell the story about how you get your agent! People are always interested in how a book comes together. It's a mystery to most people. That pun was entirely unintentional, by the way. Okay, done. One collection of strange and funny stories coming up.